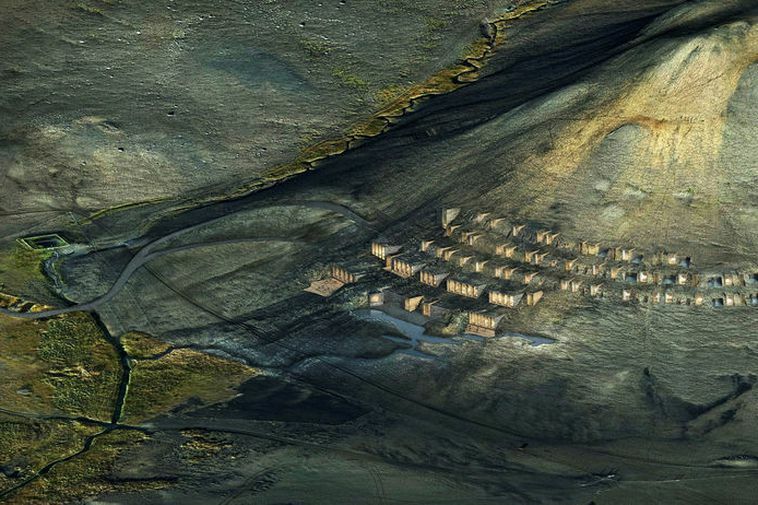 A new bathing area and hotel named Fjallaböðin (The Mountain Baths) in Reykholt, an area of geothermal heat in South Iceland, is set to open with construction beginning next year. The development has been under way for three years and will cost around four billion kronas. it is owned by the daugher company of the Blue Lagoon, Íslenskar heilsulindir, and entrpreneurs Magnús Orri Schram, Ellert K.Schram and Ragnheiður Björk Sigurðardóttir. Þjórsardalur is the easternmost valley of Arnessysla in South Iceland. The valley is lush and contains amazing natural and cultural attractions including a number of waterfalls and a reconstructed Viking-era farmstead.